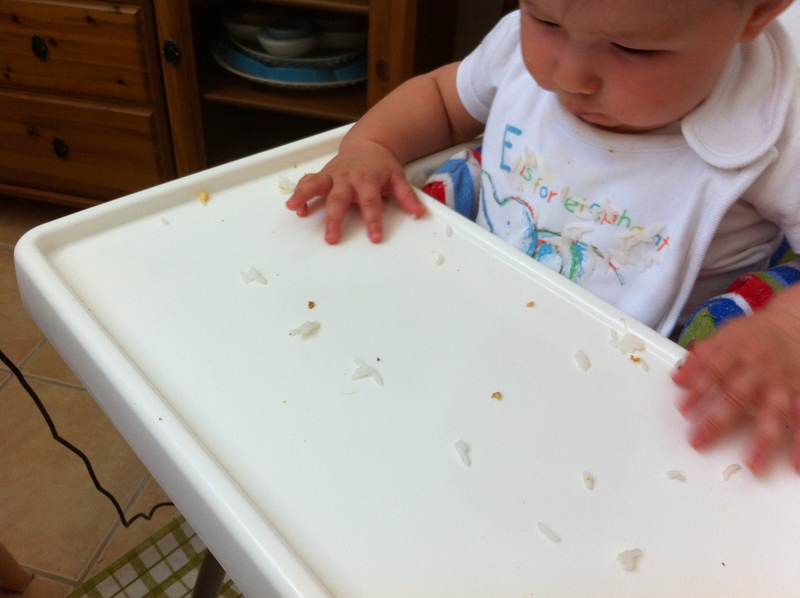 Arddun’s been getting more dexterous with feeding herself, so I thought I’d test out her pincer grip by giving her two baby fistfuls of plain rice to see what she could do. 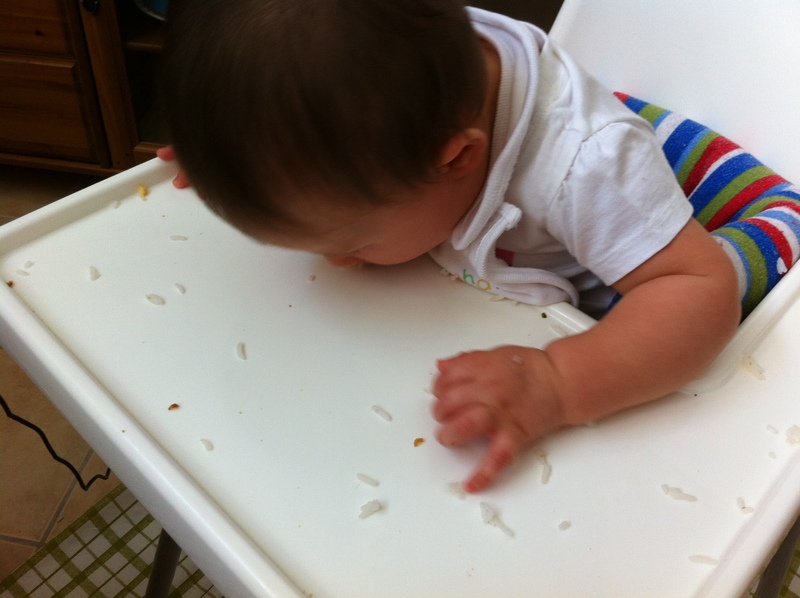 After a few attempts at scoffing (couldn’t work out how to open palm fully at the right time), mashing (rice stuck to each other, but became even harder to handle), and just putting it down on the tray table to look at it, I watched as she thought about her dilemma, and then bent down and vacuumed the grains within reach. ... but clearly worth the effort. Obviously, food is the way to go for baby bribery in our household. OMg that lobster-baby-in-a-bucket is the CUTEST! Lol! I know, right?! Couldn’t find the actual spongy costume in the photo, but thought it was a GREAT ensemble piece. At least, she is a problem solver. Good job, little one.